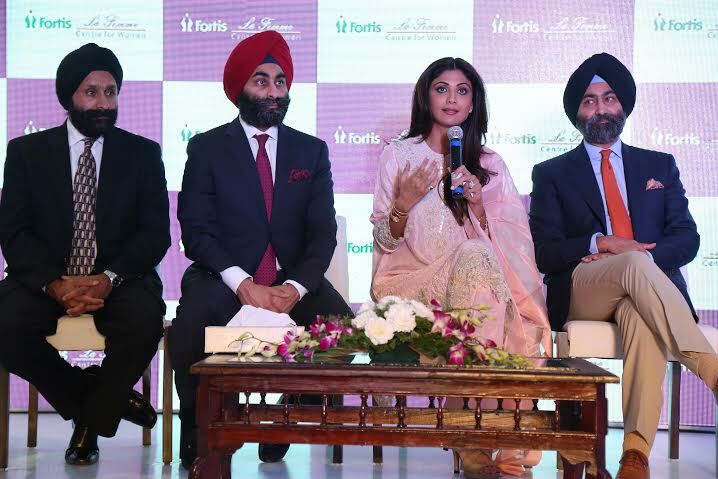 Bengaluru, Sep 30: Fortis Healthcare Limited (Fortis), today, launched La Femme, a comprehensive and distinctive boutique hospital for women offering a holistic range of medical services catering to all stages of a woman’s life, at Richmond Road, in the heart of Bengaluru. Fortis La Femme has been conceptualised keeping in mind contemporary women and the multiple roles they play. It aimsto be their chosen healthcare partnerby offering top notch clinical care, state of the art facilities and infrastructure and trained and experienced staff in a warm and nurturing environment. This facility is the second of its kind in the Fortis network; the first La Femme, in New Delhi, has earned a formidable reputation for itself over the last decade in providing personalized, tailor made, healthcare solutions for women. Focused on ‘Making Strong Women Stronger,’ La Femme gifts women medical care matching international standards through a pool of clinical specialists, superlative nursing care and efficient hospital staff who are equipped to manage all patient needs with empathy and warmth. The 70-bed women’s health and wellness facility, located at Richmond Road in the heart of Bengaluru, occupies nearly 70,000 sq. ft of space and has a variety of rooms to suit all needs, including general wards, twin, single and deluxe rooms and presidential suites. This specialty tertiary care hospital covers every stage of a woman’s life from birth, adolescence, motherhood, to menopause and beyond. Doctors at Fortis La Femme believe in a holistic approach that encompasses staying healthy and feeling good. The hospital staff has been specially trained to manage all medical situations related to women with empathy and warmth. The centre takes an integrated approach to women’s health and covers every medical aspect in Obstetrics, Gynaecology, Neonatology, Anaesthesia, General & Laparoscopic Surgery, Cosmetic Surgery, Genetic and Foetal Medicine. The centre has a unique department catering to the holistic birthing care needs of a woman, Mamma Mia, which complements the Fortis La Femme brand, offering a range of complementary services like Lamaze classes, pre and postnatal fitness and yoga, massage therapy and fertility counselling.